As a kid, I could never forget watching moving and memorable footage of Muhammad Ali whilst he was in Africa. I was amazed by how happy and uplifted he seemed during his time on the continent. He spoke powerfully as an African American, he was back ‘home’ and it felt good. Arriving in Accra, Ghana this week, I’ve felt the same. I’m in love with the country. I’m in love with the people, the food, the scenery, the sun and the smell of the place. I too, am very happy here. Amongst beautiful people, I’ve felt at home and been made to feel at home. In the streets, men and women have asked me if I’m Ghanaian. They have taken the time to cheer and greet me with affection. 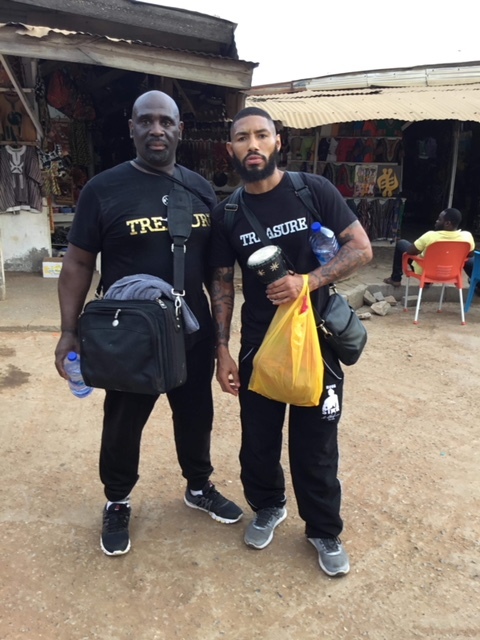 Mr. Isola Akay MBE, the founder of All Stars Boxing Gym is Ghanaian, so when the opportunity to fight here appeared, I jumped at it. He’s inspired me, motivated me and cheered me on through the 30 years of knowing him. I wanted and needed to go to his homeland. Boxing brings people together from all over the world. 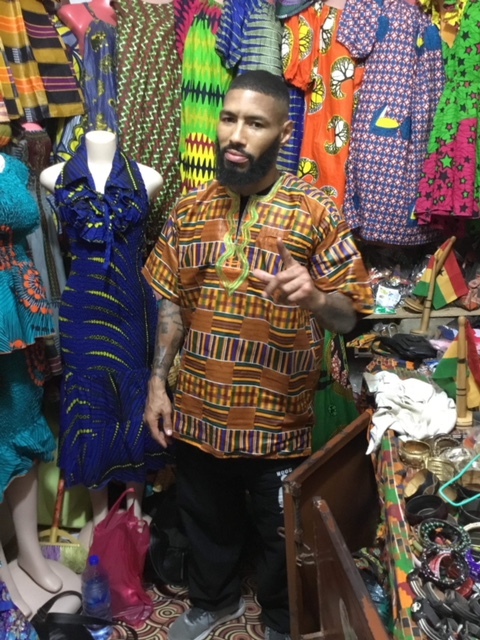 Ghanaians wished me luck for my fight with Frank Dodzi, but told me they had to support their brother. I’m used to fighting in enemy territory, as it just brings out the ‘killer instinct’ in me. I’ve fought and won in 6 countries before coming here. This was always going to be the 7th. Every day I took the time to visit a different gym during my time in Accra. I loved every minute of my stay here. I had two private training sessions, and the onlookers were impressed. Coach Steve Palmer and I have been putting in serious work at All Stars Boxing club since I fought in Budapest, Hungary on July 7th. I’m coming to the end of my fighting career, but my plan is to end it going from country to country. I’m capitalising and benefitting from the hard work that saw me signed to Floyd Mayweather’s Mayweather Promotions for 5 years in Las Vegas. During this time, I was headlining in Las Vegas and fighting at the MGM Grand, not once but three times. I’m keen to have a ‘Homecoming’ fight in London before walking away from the sport that I have served well over the years. Eddie Hearn contacted me just last week, to ask me if I was interested in being on one of his shows. I of course am interested, but he now knows that Ricky Burns is the fighter I really want to face out of his stable. But that is not the name he keeps mentioning. I’m pleased to say that Eddie keeps raising his offer, so I do appreciate that. Whatever happens in the near future, I achieved my 44th professional victory here in Accra. 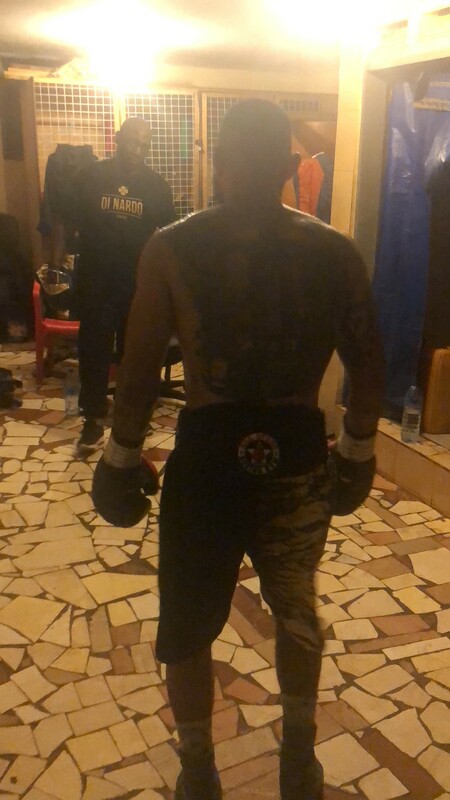 50 wins is my ultimate aim, but at my age, its important to be sensible and I therefore take every fight seriously and one at a time. If I walked away from the sport today, I’d feel very content and proud of myself, but it’s important to have a new focus. Boxing is an all-embracing way of life and doesn’t leave much space for anything else. Many retired athletes hit hard times when they retire, as they no longer have something to push for. Being forced to change your way of life is scary, hence many of us experience periods of depression and mental breakdowns. The vision and strategy for Treasure Boxing Gyms is developing and it’s something I’m really excited about. 2019 is the year I’d love to open my first gym in the disadvantaged area of London I grew up in. It will take hard work and commitment – and I’ve been well trained for that. My goal is to give back to the community I was born and raised in. To help give a lifeline to so many kids that have their hopes and dreams crushed by the negative environment they live in. For now, I came to Ghana on a mission. My mission has been accomplished and I’ve left with my 44th professional win, and with the beautiful country of Ghana and its unforgettable people in my heart.